Leaving for a trip so I just wanted to wish you all a lovely Sunday and Valentine’s week ahead. Speaking about Valentine’s I was advised to purchase a Charisma Jade charm which is said to attract loving, romantic relationships. Or…just to increase your charisma and attractiveness, and who doesn’t want that?! Since it’s made out of jade I am soaking it in a bowl of salt water overnight in order to cleanse it. First thing tomorrow I will program it in the morning sun before setting off for the airport. I’ve never had a charm like this before and it was hand-carved but I couldn’t figure out what the the figures were. Apparently, (and yes, once you see them you will always see them) they are two cats facing each other. The symbolism of this is a mystery to me, thank goodness I like the color green and those who know me well will think the cat figures are purr-fect. Charisma Jade Pendant for a little purr-in purrfection? Wishing you all happy and benevolent heart outcomes! For those interested in this pendant, visit The Yin and Yang Shop of Harmony at the Mandarin Hotel Manila. How does this stone take effect when you use it? What is in it? Hi there. 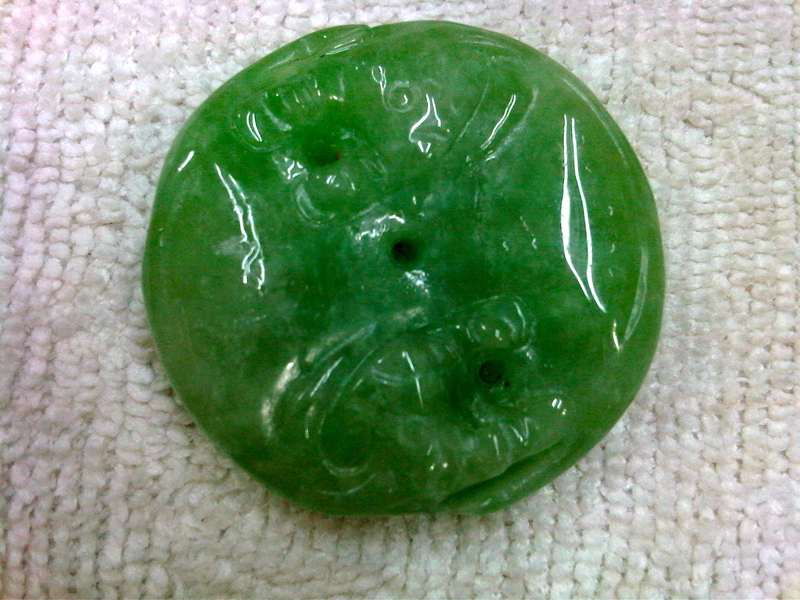 It’s made out of jade and its said that the more you wear it the more your charisma and charm are enhanced, making you more attractive to those around you.